Where traditional companies push out messages and products, today’s most successful companies pull customers in. We live in a non-linear world. Customers are more connected and empowered. Brand relationships need to be more continuous. The old model of targets, funnels and campaigns is outdated. We need a new model and a new language. Brand Orbits® is a simple model that solves the complexity of modern marketing. How do you differentiate when everyone is shouting louder than ever? Where traditional companies push out messages and products, today’s most successful companies pull customers in. Instead of treating customers as passive targets, they treat them as active participants. Like the sun in a solar system, they create a gravitational field that pulls customers into their orbit. They go beyond customer loyalty to building customer gravity. use relationships to drive transactions.The language and mindset of push brands is linear, transactional and one-directional. embed transactions inside relationships. The language and mindset of pull brands is exponential, reciprocal and bi-directional. Before the Internet, all media had one thing in common. Consider books, radio, television, film, magazines and newspapers: they are all one-to-many. The same message goes in one direction: out. Messages are sent to a passive and anonymous audience. The publisher doesn’t know you are reading the morning newspaper. When you talk back at the TV, the actors can’t hear you. In a one-to-many world, we were all consumers—of information, entertainment, products and services. When the Internet came along, everyone could be a broadcaster. Audiences were no longer passive. Suddenly, you could comment on a news story. Or write your own. Social media changed the game again. Mass communication became mass collaboration. People could talk to each other, transforming the audience into a community. Consumers became co-creators. Gutenberg had given way to Zuckerberg. The way we think about brands needs to change. In the past, they were objects or concepts. You had a relationship with a brand. But in this social age, brands are the relationships. By defining a brand’s particular kind of relationship, companies can create greater engagement, differentiation and loyalty. Ride-sharing service Lyft invites customers to sit up front. The Brand Relationship shifts from driver/passenger to friend/friend. Room-sharing service Airbnb has disrupted the traditional Brand Relationship of host/guest and replaced it with neighbor/neighbor. 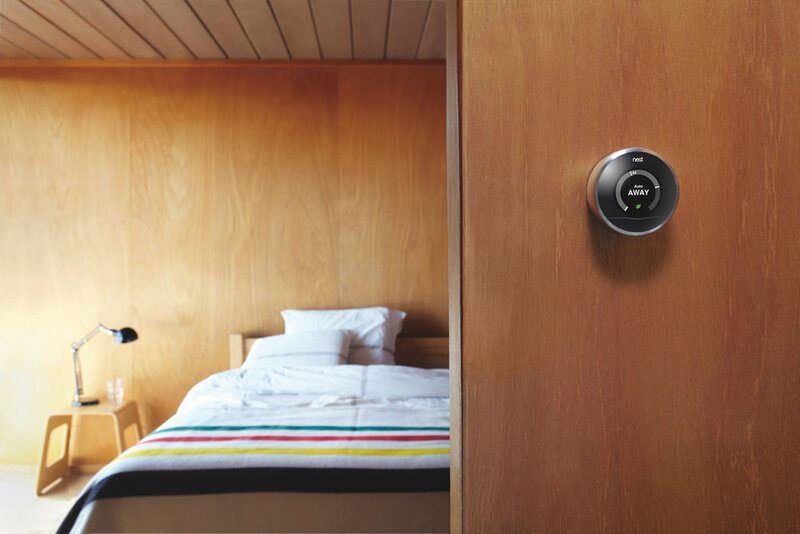 With its smart devices, Nest has created a Brand Relationship built not on a manufacturer/buyer relationship but one that’s more like family member/family member. In all of these cases, the relationship is more reciprocal, symmetrical and personal. To build relationships with customers, rethink old models of brand purpose, narrative and segmentation. The way to put “brand as relationship” into action is by defining the respective roles and responsibilities of the company and customer. The default brand relationship is provider/consumer. It’s a simple relationship that is one-directional and asymmetrical. The company provides the product or service, and the customer consumes it. Brands are relationships. This graphic shows four types of relationships companies can have with customers: 1. Persuade & promote; 2. Listen & learn; 3. Connect & collaborate; and 4. Enable & empower. To segment is to divide something into parts, like segments of a grapefruit. Customer segments divide people by gender, income, location or geography. But people are multi­-dimensional. Instead of dividing people into segments, think of people as having facets. Instead of a “soccer mom,” a person might be a mom, soccer parent, wife, daughter, sister, foodie, executive, cyclist, baseball fan and vegetarian. These are not just interests; they are roles and identities. These facets shape not just attitudes, but relationships. They are the places we find purpose and the places we are most likely to co-create with each other. It’s not enough that they feel good about your purpose. They want it to be their purpose too. They don’t want to be at the other end of your for. They want to be right there with you. Purpose needs to be shared. A Brand Orbit strategy generates brand gravity around Shared Purpose, which is the outcome that you and your customer are working toward together. It’s more than the value proposition of what you deliver to them, or the mission of what you do for the world. It’s the journey that you are on with them. By having a shared purpose, the relationship shifts from consumer to co-creator. The way to tell if you have a Shared Purpose is the T­-Shirt Test. Look at your company mission or purpose statement. If it belongs on an advertisement more than a t­-shirt, you have a Purpose TO. If it looks good on a t-­shirt that’s meant for employees rather than customers, you have a Purpose FOR. If it is meant for anyone to wear, you have a Purpose WITH. You can read more about Shared Purpose in our guide to Narrative. Once you have your Shared Purpose, the next step is to define your Strategic Narrative. The Narrative explains how the Shared Purpose will be fulfilled. It transforms your purpose from a tagline into a philosophy. The Narrative must align to your brand DNA, connecting the past, present and future. The Narrative also defines your relationships with others in your ecosystem. Think of the Shared Purpose like a potluck dinner. Some people bring the entrée. The Narrative tells everyone what to bring to the party. Starbucks’ mission is “to inspire and nurture the human spirit.” As a Shared Purpose, it passes the T­-shirt Test. But it’s Starbucks’ Strategic Narrative that truly brings it to life. The essence of this narrative is the concept of “third place.” In 1983, CEO Howard Schultz visited Italy and saw how coffeehouses fostered conversation, connection and community, and brought that ethos back to the United States. Read more about Strategic Narrative and Shared Purpose in our guide to Narrative. The future of competition is who can generate more gravity. Apple and Google demonstrate the power of Brand Orbits. Apple has iTunes, Genius Bars, Facetime and Siri. Google has Search, Maps, Gmail and YouTube. The more building blocks you can assemble, the more gravity your Brand Orbit will generate. It took centuries to master the tools of mass communication and decades to develop the techniques of push marketing. You should not expect to build Brand Orbits overnight. Re­invigorate your content marketing by developing a Shared Purpose and Strategic Narrative. Host events or forums for your customers (Peer Connections) on matters of mutual interest (Shared Purpose/Social Currency). Update your positioning and messaging to emphasize relationships over transactions (Social Facets). Collect data that can be delivered back to customers in ways they find useful (Little Data). Orbit strategies are a journey as well as a destination. You will learn as you go. You just need to start.